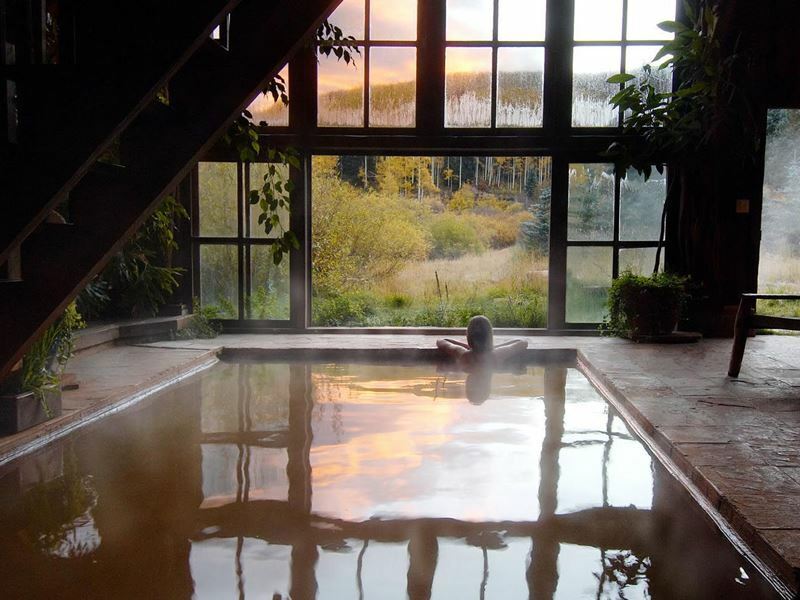 Colorado’s hot springs are among the state’s most popular attractions. After all, what better way to reward yourself at the end of a day of play in the mountains than soaking in warm, geothermal waters surrounded by breathtaking scenery? There are many different types of springs, with something to offer just about everyone, from lavish, vast pools with waterslides and pools at luxurious spa resorts to natural pools set among boulders in rushing streams. Strawberry Park Natural Hot Springs, situated just outside the town of Steamboat Springs in a high mountain valley, offers the total experience that includes unique accommodations like covered wagons or a renovated train caboose with a gas fireplace, as well as rustic cabins and tent sites. There are number of large stone-lined soaking pools with natural rock sides separating the pools, while the soft sandbed floors are soothing to the feet as you walk across. Guests can also indulge in relaxing treatments like massage and Watsu therapy. One of the hottest springs on Earth, the source of Glenwood Springs is the Yampah spring. It produces more than 3 million gallons of water daily, at temperatures of over 120 degrees Fahrenheit. By the time that water flows into the pools, it’s cooled to a very pleasant 104 degrees. 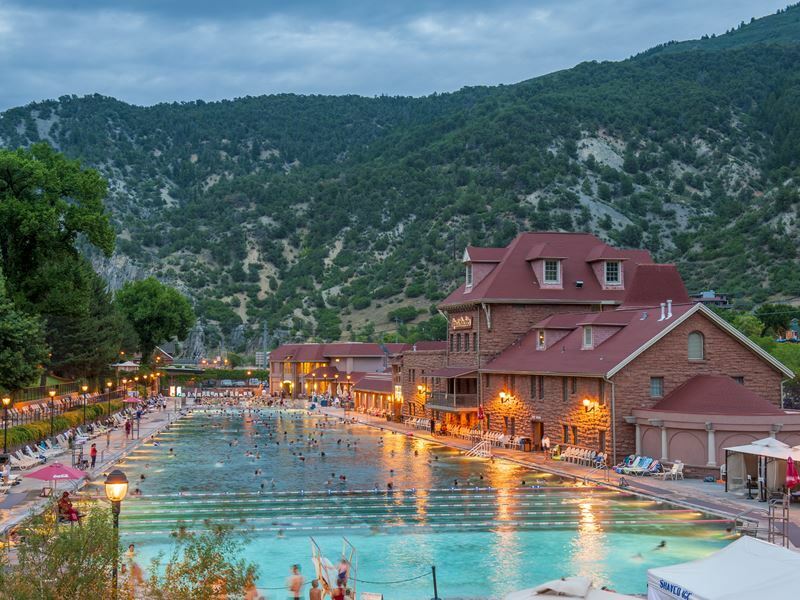 Glenwood Hot Springs Pool is the world’s largest, which means there is lots of room for soaking, swimming and splashing around as well as just lounging on an inflatable. Ideal for families and all sorts of other travellers, it even includes a lap lane and diving area. During the warmer months, generally late spring to early fall, there are two water slides available too. Whizz down Avalanche Falls Slide on an inner tube and enjoy a traditional body slide run on the Shoshone Chute. Mount Princeton Hot Springs Resort Resort near the town of Buena Vista sits in the heart of the Rockies surrounded by jaw-dropping Rocky Mountain scenery. It hosts both human-made pools and natural river hot springs with pools separated by boulders. There are pools for fun and pools for just kicking back and enjoying the soothing mineral waters, as well as a number of amenities. The resort boasts a spa with a wide ranging menu that includes private mud soaks, acupuncture, a variety of massage, body treatments, facials and more. The onsite restaurant serves up dishes based on local ingredients, and there are fitness and yoga classes too. In southwest Colorado, Ouray is tucked deep within a box canyon in the San Juan Mountains, and hosts a number of hot springs options, including the Ouray Hot Springs Pool, a natural hot springs swimming pool where visitors can soak while gazing up at the soaring forest-covered mountains. This family-friendly pool hosts a large slide, diving area, shallow section for the little ones and a water volleyball area. The Historic Wiesbaden Hot Springs Spa has its own private hot springs and a natural vapour cave with a soaking pool. Guests can also enjoy historic, European-style lodging and spa treatments. Box Canyon Lodge & Hot Springs may be the best of all in Ouray, especially for couples who want to enjoy privacy. 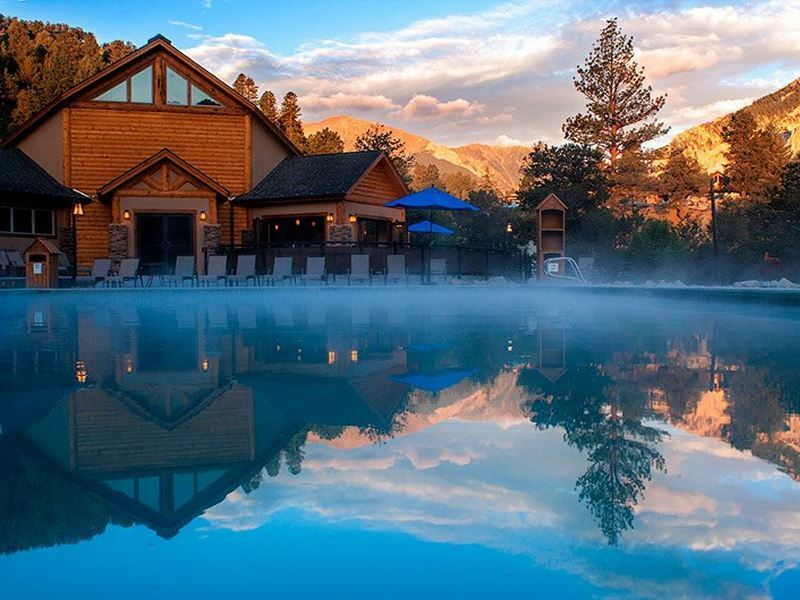 The lodge hosts private hot springs tubs along the mountainside that are only accessible to overnight guests. Be sure to rise early at least one morning while you’re here to catch the glorious sunrise from one of the bench swings. In nearby Ridgway, Orvis Hot Springs features seven pools ranging from 98F degrees, to the way too hot Lobster Pot which can get to as high as 114 degrees. Sit in the gravel-bottom “pond” and you’ll enjoy magnificent Mount Sneffels views and the chance for a natural massage underneath a waterfall. Both the name of the town and the hot springs that are its main attraction, Hot Sulphur Springs Resort is located near the western entrance of Rocky Mountain National Park. Accommodation is offered in basic motel-style rooms, with all of the outdoor pools included in room rates. Guests can also enjoy day visits, making it a perfect stop after a day of hiking in the park. The springs were once used by the native Utes, and today, visitors use them just as they did back then, soaking in the 24 chemical-free pools and baths of varying temperatures ranging from 95 to 112 degrees Fahrenheit. The vapour cave and grotto pool with a massage waterfall are the highlights. Guests can also enjoy massage and other treatments at the spa as well. 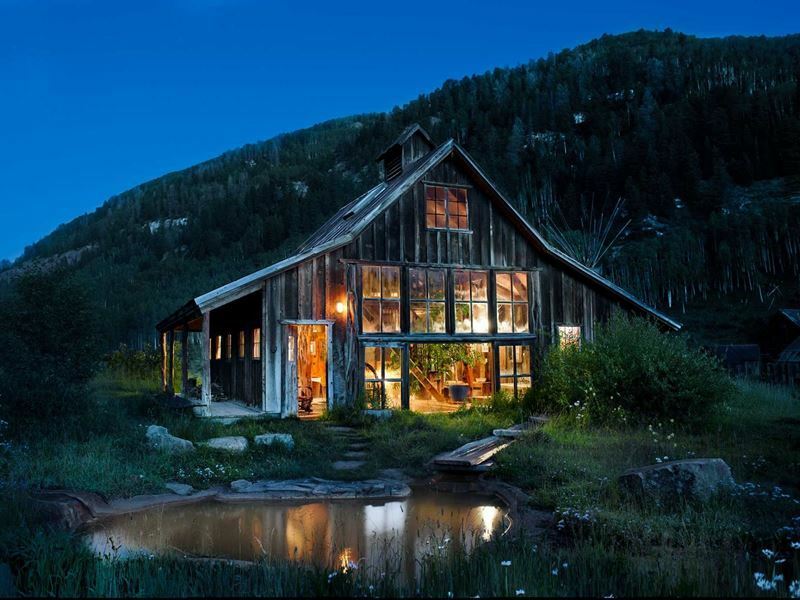 Dunton Hot Springs offers a unique adventure that includes a stay in a five-star luxury property that sits within a immaculately-restored ghost town from the 1800's set up against a backdrop of the dramatic San Juan Range. Historic log cabins are strewn throughout, while the mineral hot springs offer the chance to enjoy a relaxing soak after a day out hiking the miles and miles of picturesque trails in the area or taking part in any one of a number of active outdoor pursuits. There are also historic buildings that host an elaborate spa, a saloon with chandeliers made from wheel wagons and even the actual bar that the infamous Butch Cassidy and the Sundance Kid once saddled up to for a drink. If you look closely, you can see their names carved right into the wood. The property also hosts a fine restaurant that serves dishes using ingredients from the onsite organic farm along with wine from the private vineyard. Nearby, you can venture over to the only active geyser in the state. Hikes led by a resident expert guide are complimentary, and you’ll even get a gourmet picnic lunch. 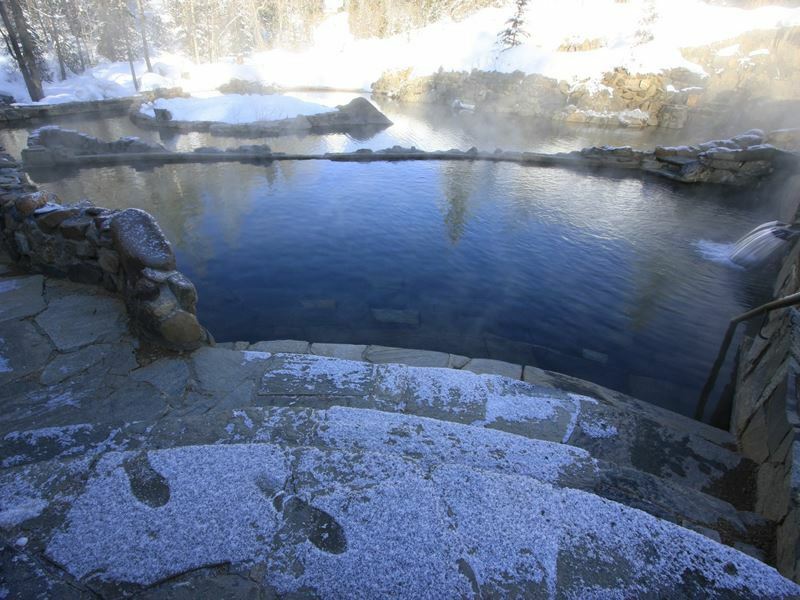 Pagosa Springs is also home to multiple hot springs pools, in fact, it even hosts the deepest geothermal hot springs on the planet, found at The Springs Resort & Spa. It sits along the San Juan River in the heart of town and features over 20 soaking pools along with a separate luxury hotel. Lodging rates include access to the pools 24 hours a day, cozy spa robes and lavish pool towels. The five adult-only pools offer awe-inspiring views of the San Juan Mountain Range, while the spa provides skin care treatment, massage and specialty services like AquaZen and neuromuscular therapy. Healing Waters Resort & Spa also offers lodging options that include everything from RV sites to suites with full kitchens. There is a large outdoor pool for swimming and soaking as well as a secluded outdoor hot tub and separate men’s and women’s bathhouses. Finally, Overlook Hot Springs Spa boats five indoor pools, a totally private hot tub and rooftop tubs. The hot springs is housed inside a Victorian-era storefront and also offers a variety of massage for muscle and pain relief, sports recovery and relaxation, which all include a hot springs soak. 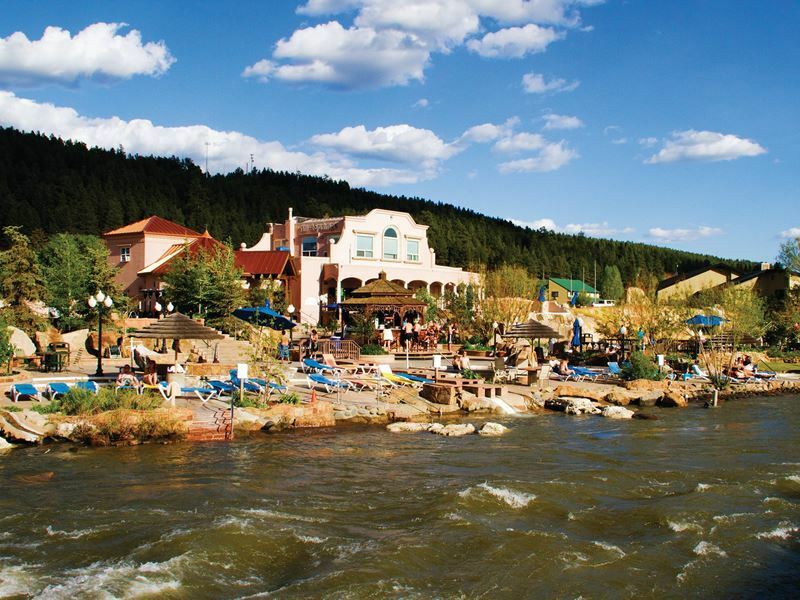 Set alongside the banks of Cottonwood Creek in Buena Vista, the Cottonwood Hotsprings Inn & Spa hosts geothermal, gravity-fed mineral springs along with creek-side cabins, tent sites and hotel rooms. The springs which feature stunning views of the Rocky Mountains were once used by the Utes as a spiritual gathering place. The temperatures of the pools range from 94 to 110 degrees Fahrenheit. Spa services are available too, including reiki, massage, body wraps, iridology, salt scrubs and more.